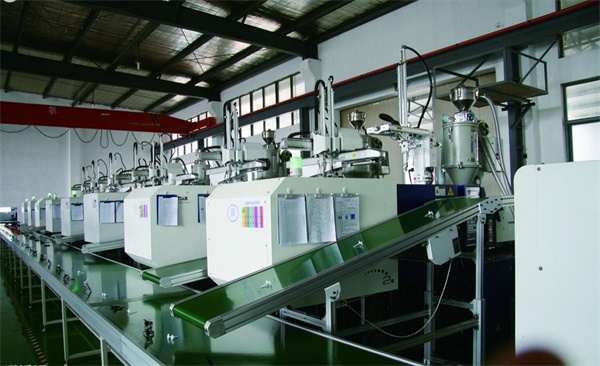 Home > News & Evens > How To Find Rapid Tooling Manufacturer In China? China has been predicted as the largest economy in the 21st century around the globe and will soon surpass the America. Despite the fact that the relative cost of manufacturing in China has risen in the past few years, it is still often the best location for American retailers and manufacturers to source goods or parts. In this article TEAM Rapid will broaden your thoughts on how to find the ideal Rapid Tooling manufacturers in China. First, you should determine what type of supplier you wish to cooperate with. This will help determine the terminology you need to use in your rapid tooling research. At first, any manufacturer you find seems like your only hope. That’s why I highly recommend starting out by building a list of 10 suppliers with whom you can communicate directly. Making a large list helps to reduce the feeling of scarcity while you develop relationships and negotiate with the most promising rapid tooling manufacturers. Internet Search-There are a ton of helpful resources to be found online just by searching Google. Other B2B sourcing websites like Alibaba, Made-in-China.com, and Global Sources also can be a great reference. Tons of Chinese manufacturers get together in such websites. Alibaba, the largest B2B source in China, assists Injection Molding buyers and exporters in finding and sourcing manufactured goods produced by Chinese firms. If you want to find suppliers with best experience, ignore any CNC machining supplier with less than 3 years Gold supplier on Alibaba.com. On their page, it will say if they are a manufacturer or trader. The higher the number the better, like 4+ (higher credibility). Have a well-written introduction of what you are looking for.Take a note of who you email and what you/they said for future use. Do researches online and check ratings and reviews to find what others’ opinions about the manufacturer. Referrals-If you think the above methods are too much trouble, try to use the referrals around you.Some of the best leads can come from referrals by friends and family. Social networks have made it much easier to get the word out so make sure to use these channels. As you begin the discovery journey, even though they might not be what you are looking for, remember to ask them if they can lead you in the right direction. Chances are great that they will likely have great contacts in the industry and many would be pleased to recommend you to someone that might be a better fit. Trade Show-Trade show is another way to source legitimate suppliers. Through attending trade shows, you get the chance to communicate with potential suppliers face to face. Hence you know better about their companies, products, production capacity, quality-control procedures, and other key business areas. Such direct interaction can help you evaluate suppliers and verify their abilities. If you have decided to attend a trade show in China, Canton Fair is the last show you want to miss. Canton Fair, the China Import and Export Fair, is a trade expo designed to connect Chinese manufacturers and wholesalers with buyers and exporters. It has been running since 1957 and held its 120th session in October 2016. You can apply to visit Canton Fair online here. Though the approval process is typically fast, prepare sufficient time for your application prior to your trip. Admission is typically free of charge for advance applications, but not same-day tickets. A visit to your supplier production site in China is the only reliable way to truly know its capabilities. It helps you see the facility of the Chinese manufacturer that might be manufacturing your product and other information can be collected from that. You can get the opportunity to meet the key person or people at the Chinese manufacturer that may be might be manufacturing your product. Last but not the least, it lets your final Chinese supplier know that you take your products seriously enough to visit in person to guarantee they are made correctly. A face-to-face meeting with the supplier's management team will also give you an idea of their Rapid Tooling experience and willingness to embark on your project. At first, the research process can be intense, frustrating, time-consuming, and nerve-racking. However, it gets easier and less upsetting as time goes on. When your product reach its final destination, well packaged and ready to hit the market, there is no better reward. Any further questions, don’t hesitate to email sales@teamrapidtooling.com to learn more.